In this Won’t You Be My Neighbor? 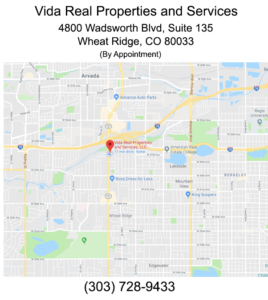 edition, we look at the home inventory in Green Valley Ranch in Northeast Denver, Colorado with the zip code of 80249. 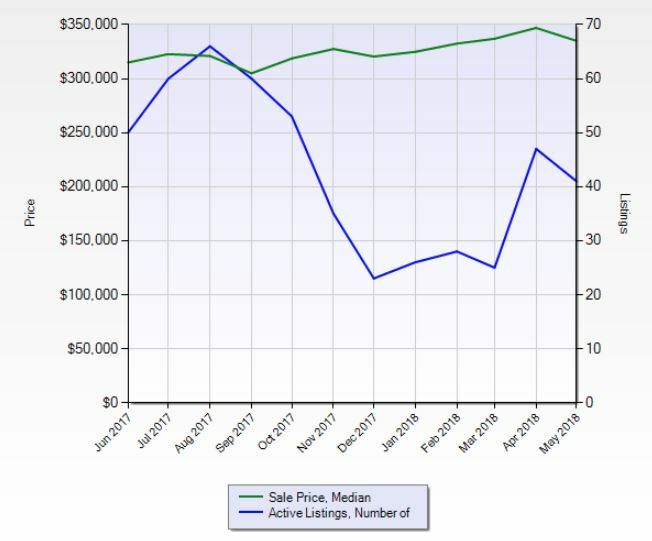 The chart below displays the sold prices for homes in the last year as well as the number of listings for sale for each month. That median sales price increased at a lesser rate than it has in the past few years going from a median sold price of $310,000 to $335,000. That’s an 8% appreciation rate, still a significant increase. Inventory for sale continues to follow a seasonal trend with a peak of 66 units for sale in August of 2017. 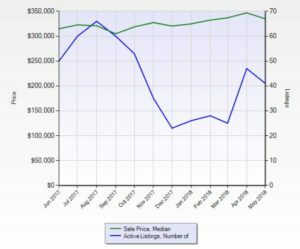 Each month has seen less then 50 homes for sale since about October of 2017. It remains a great opportunity for owners to make that move to sell. 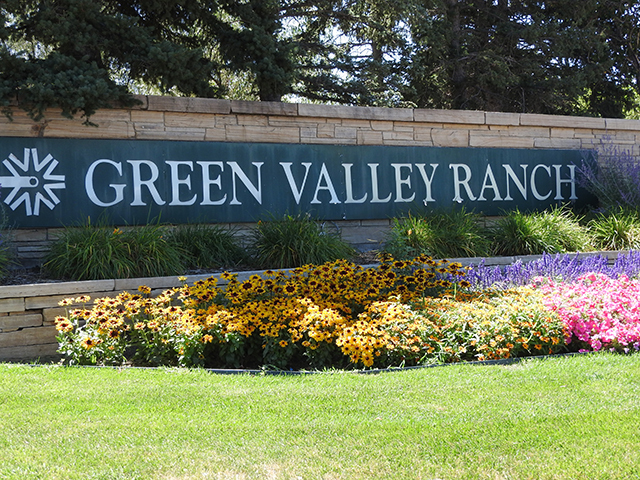 The next table provides the details for the all homes that are for sale (41) for Green Valley Ranch as of the end of May 2018. The median size of the home for sale is a three-bed, three-bath home of 3,222 sq.ft. 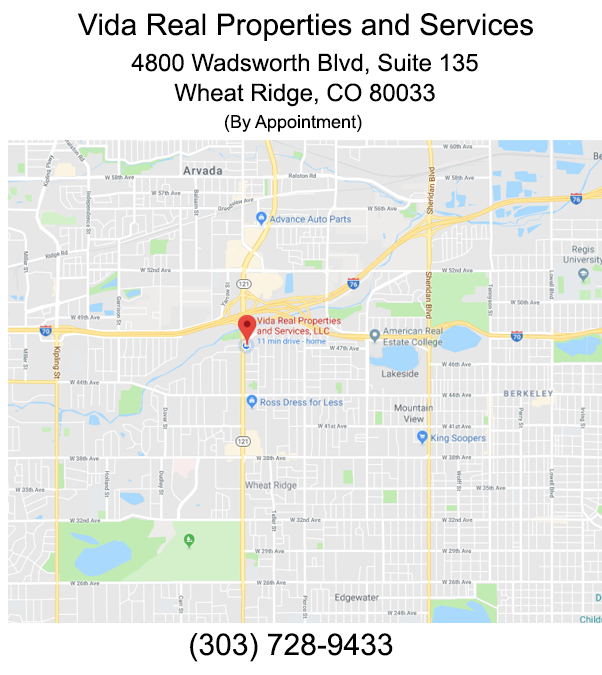 total with a median asking price for $430,000. This is not bad considering the median price per foot above ground is under $200. Are you interested in one of those homes?